hats from the crown down. 1.) They require minimal mathematics, which–even for a lover of math, like me–is always good. 2.) They are measured for depth more accurately as they are already an enclosed object. When it comes to casting on, I have found it easiest to use the Turkish Cast On (With a Twist). Although this is a little different than the regular Turkish Cast On, it is quick to learn. I use this because it packs a large amount of stitches in a smaller circumference and then releases it on the next round, making the very top of the hat rounded, instead of pointed. First of all, you will wind the yarn over your needles, like you would with the TCO, but leave a very long tail. Knit across the first half of the loops. This is the beginning of round. Knit one round doubling the working yarn and the tail yarn together. 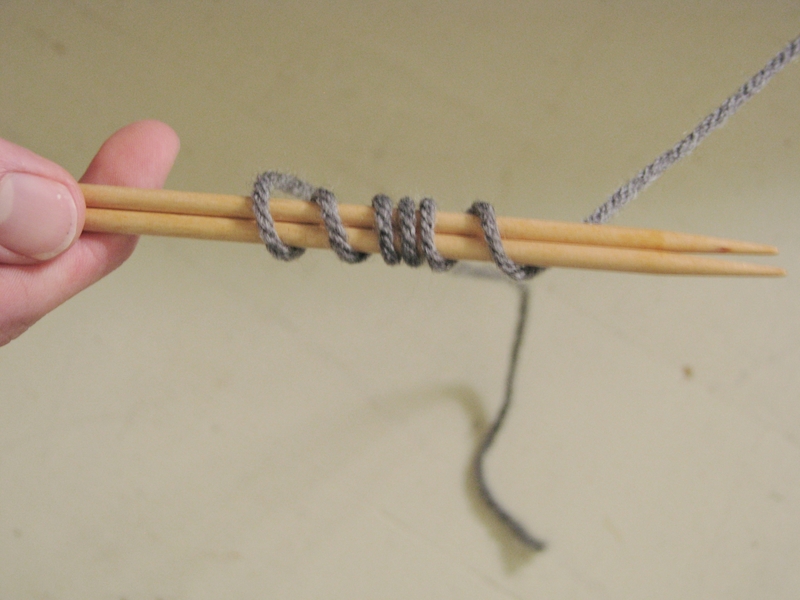 Knit a final round, but knit each separate strand of yarn (there will be two each stitch). Step 3, the Crown of the Hat. The crown is in my opinion the “hard” part of a crown down hat. I’ve found that if you begin by increasing x sts per round for every round until you have a fraction of your sts, then increasing them every other round until you have the desired amount of sts does not work as well as it does—decreasing in this case–for a brim up hat. The best type of hat I’ve worked from the crown down, is one with 4 sts increased every round until you have enough sts. It fits snugly and well. Experiment; you may prefer something different than the technique I used here. Ahh, here it is! The section with all of your pattern in it. I will not even attempt to describe all the things that could go on here! For the first time working a hat from the crown down, I would recommend a simple stockinette body, especially if this is your first time custom making a hat. 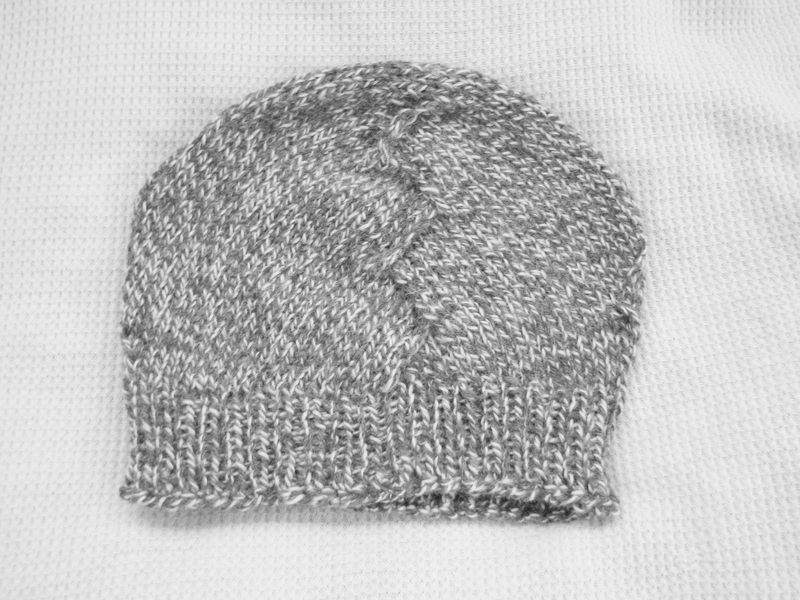 If you are making a beanie, make sure to have some decreases just before the brim, so that the hat doesn’t flare out. Another way to do this without decreases is to end the hat 2 inches before desired length and work 2 inches of a stretchy ribbing. The brim is usually worked in some sort of ribbing, anywhere from a simple 1×1, to a more complex 2x3x1x3x4, or something that thrills you. Just make sure that the pattern is easy to remember and is pretty stretchy, because, just like the cuff of a sock and your feet, the brim has to go over the widest parts of your head and then rests at one of its narrowest places. 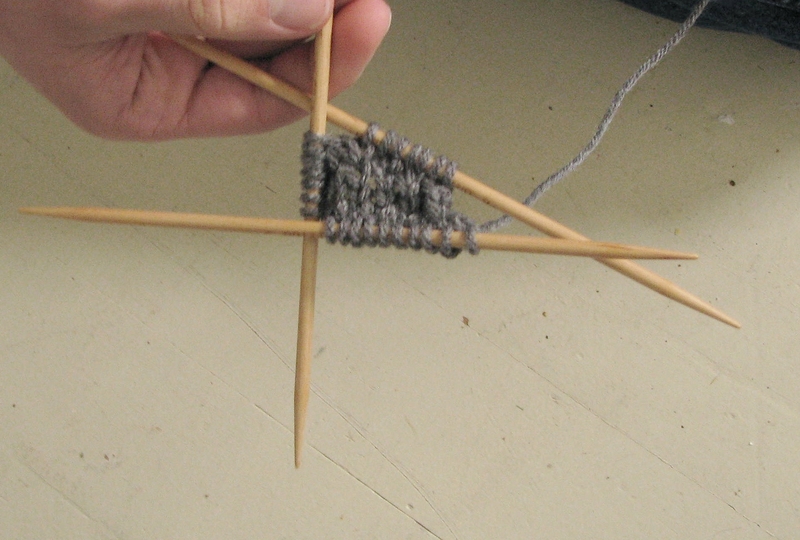 Any bind off that is suitable for the cuff of a toe up sock can be used for binding of your hat. Jeny’s Surprisingly Stretchy bind off is a good one, but when you’re making a hat out of a worsted weight yarn, it tends to be a little bulky for it to be exactly comfortable, so I prefer a sewn bind off for hat brims. 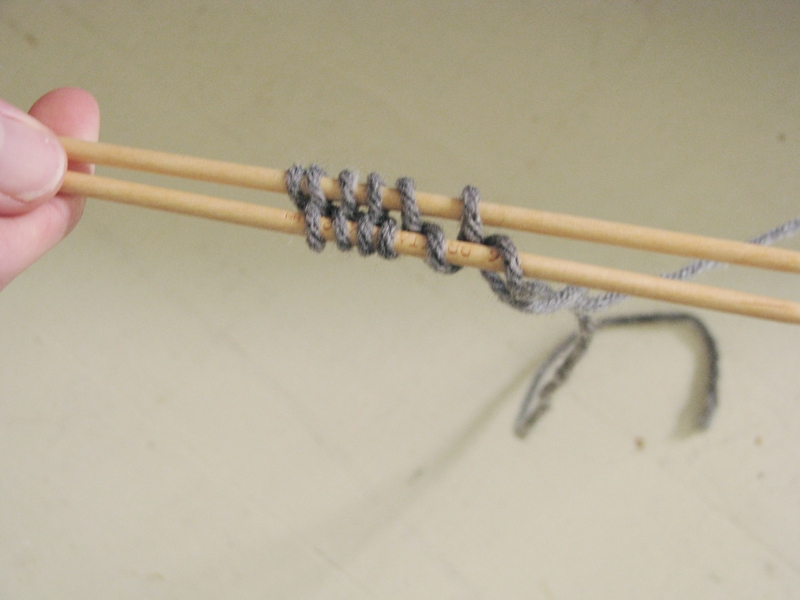 A traditional bind off will be too tight unless it is worked very loosely, but then, it tends to be sloppy looking. A general rule of thumb is, if it doesn’t stretch at all, or even very much on your swatch (you will swatch, right? 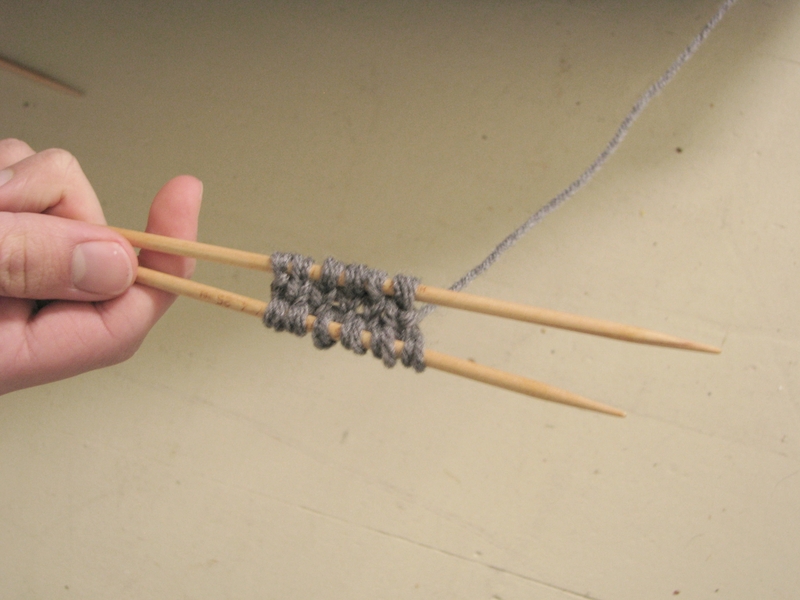 ), it is best to pick a different bind off. I have devised a generic, plug-in-your-numbers crown down hat for next week, so, stay tuned. Thank you! I’ve only been blogging for about a year now, a little less than that. Thank you for your kind comments. I like your tips on the cast on and then doubling the tail and working yarn. I might have to give this a try on my next hat.